This week we prepare for the holidays. Many members send oriental themed cards to friends during this time period. 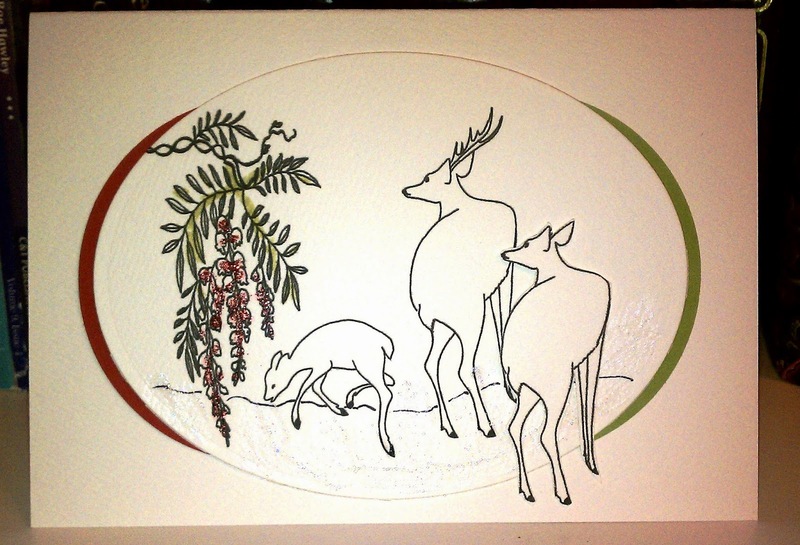 Your challenge this week is to create a holiday inspired oriental card. The card does not have to say Merry Christmas on it. The focus is on what this time of year means to you, your wishes to others, etc. I just noticed you can hardly see the "Blessed" stamp in this photo! if you enjoy Asian themed art and would be interested in joining and awesome group with swaps, contests prizes and lots of good conversation, send me and email and I will give you the details! Marvelous card for Christmas, Ginny, We are truly blessed. I don't get the chance to blog hop much but when I do, your blog always delights! I really like your oriental cards and the mass of cards in the previous post are just gorgeous! I still don't know how you do it! Bravo mon amie!